I was flipping through the pretty pictures on Tastespotting when I saw THEM. 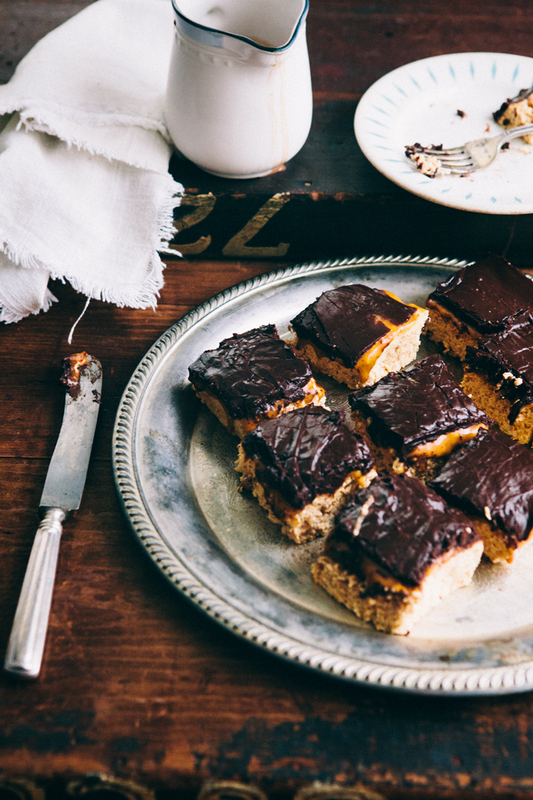 The Whatchamacallit Bars. Now, I don't know what Whatchamacallit candy bars are. Never heard of them. But I knew right away that those bars looked just wrong, wrong, wrong and that I must eat them. 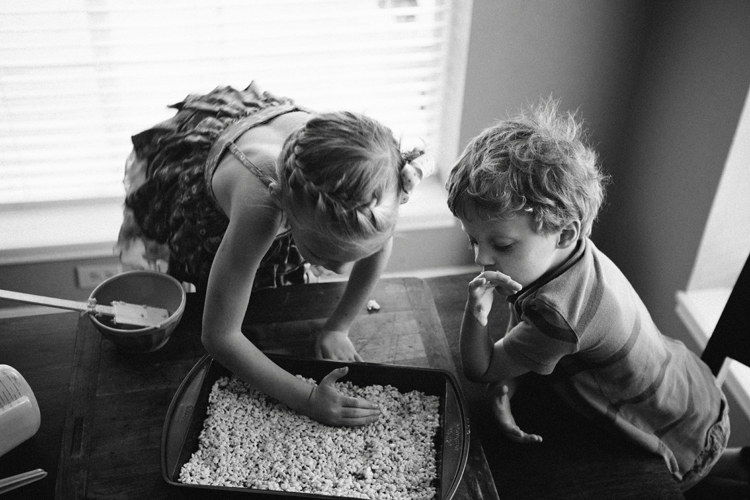 Besides, are there any children who would not enjoy making Rice Krispies Treats with their mama? More to the point, is there any mom who would not enjoy making them with her kids? 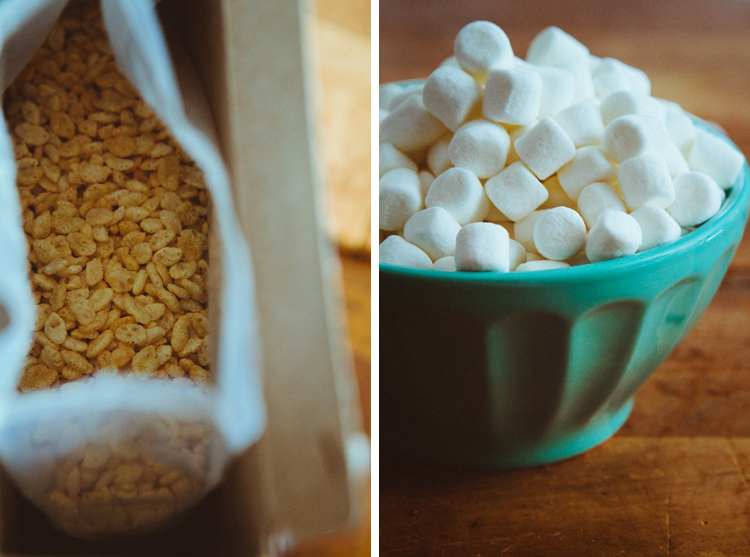 Because I have no loyalty to the candy bar I have never had, I have modified the recipe (I hope the blogger behind Deliciously Declassified does not mind) by using only half the original amount of Rice Krispies (the more marshmallow/peanut butter, the better!) and making dark chocolate ganache for the chocolate layer. The dark chocolate elevated the bars to the adult tastes while all that marshmallow and caramel still kept the kids interested. Make crunchy layer: in a large heavy pot melt butter, then add marshmallow and heat over medium heat, stirring, until smooth. Remove from heat, stir in corn syrup and peanut butter. 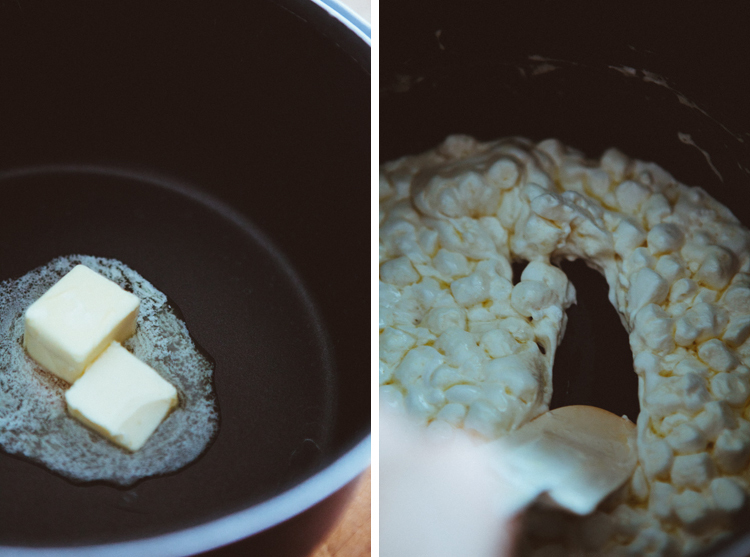 Add Rice Krispies, mix until combined, spread over 9X13 inch (23X33 cm) pan, pressing down slightly. Microwave caramels, cream and salt until melted. Stir until smooth and spread over the Krispies layer. For chocolate ganache, microwave chocolate, butter and cream, stopping and stirring often until melted and smooth. Add vanilla and spread over caramel layer. TRY to wait until the bars are set if you can. You can expedite by refrigerating them. Фото с детишками такие классные! Живые! Your blog is so amazing! 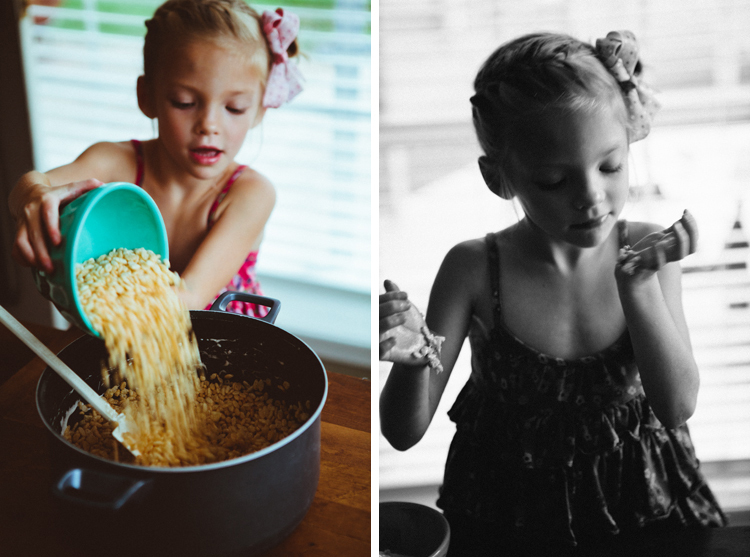 I found you through LJ and am amazed by the photographs and the recipes! I will be following! 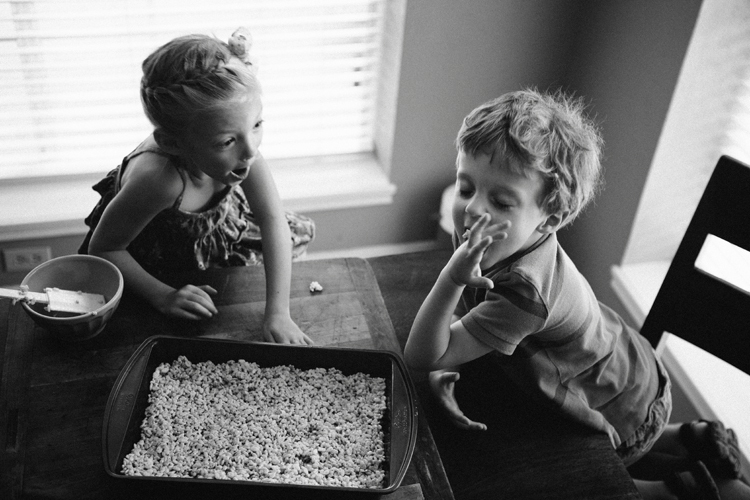 Rice Krispies treats are the best. Recently I made some "pumpkin shape" treats but yours look more delicious as are mixed with peanut butter and chocolate. Will have to give a try.